Meet Philippe Poirier. 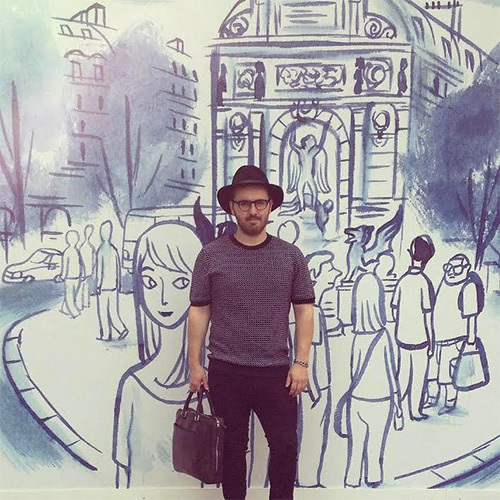 Philippe is an animator and artist, living and working in Montreal, Quebec. He has a background in traditional and 3D animation, and currently works in the gaming industry at Hibernum Créations. 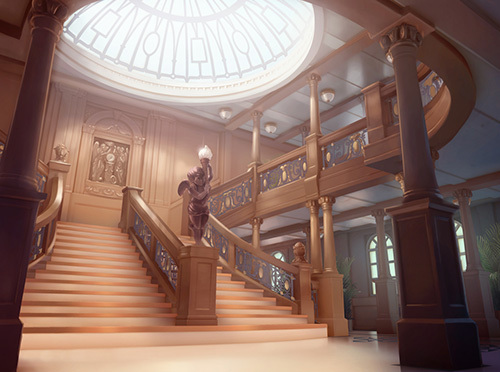 Philippe has worked on projects such as Pearl's Peril in partnership with Wooga, and is currently the lead artist for an upcoming (soon to be announced!) X-Box One game. Philippe has also participated in past Light Grey Art Lab exhibitions, including Animystics and the recent Dream Arcade Exhibition and video game. It is an honor to work with Philippe on these projects, and we are thrilled to present his work and process! Below, you can read all about his art practice, upcoming projects, and reflections on his personal and professional work! You see all of Philippe's work on his website and play his level for the Dream Arcade Game here! I work full-time as a 2D-3D artist at Hibernum Créations. When I am making personal projects, I have a desk at home with a bookcase next to me. I work mostly with Photoshop and a Cintiq, and I usually carry a sketchbook at all times. Cat owners will understand the struggle of having your pet hanging out right in front of the computer! What are some of the things you surround yourself by for inspiration? -or- What are some of your biggest sources of inspiration? I get the chance to work with incredibly talented people, and it’s always inspiring to see how active everyone is outside of work. Tumblr, Pinterest and Behance are amazing platforms that I often use to discover new artists, I am astounded by how much talent and passion there is out there. I’ve always been drawn to backgrounds, but I’m trying to do more characters: I really like Sargent, Ingres and Leyendecker’s work, to name a few. As for the contemporary artists, Jeremy Vickery was a big influence when I started to work more extensively on backgrounds and lighting. James Gurney’s blog is always really amazing- he posts every day on a variety of subjects. Also, I love Hchom’s art, with all her tidy lists and great illustrations! You were one of the participating artists in the Dream Arcade Exhibition. Could you describe the world that you were building? Character and space inspiration? I went for a detective mystery/noire inspired level- I love how atmospheric these movies were! I looked up a lot of images of Los Angeles and movie stills for set design inspiration. I usually collect images and put them in a folder whenever I start a new piece, and I frequently go back and see them again to get motivation and specific details as I progress. For the final work, I incorporated haunted aspects and mystical fantasy to open up possibilities for enemies and different experiences. What are some of your favorite parts of world building/ character building? I am a big fan of layout design! The design was a part of my work when I studied in traditional animation. My layout teacher was one of my most important influences from school, and I still apply his teachings to my work today. I just love how a background can express the characters’ personality and set the mood through small narrative details. It can let you tell the story in a single image, what kind of characters evolve in there. "Setting the Scene: The Art & Evolution of Animation Layout" by Fraser MacLean is a great book on the subject. Do you often work in a collaborative manner or with a team of animators? Could you describe that process? Making a video game is an intensely collaborative endeavour indeed! I was lucky to be able to work as a lead artist on a video game project, where I had to supervise and assist the work of the art team and communicate with the other teams. It was really great to see everyone’s specialty up close- it provided a lot of insight into everyone’s particular field. Usually, artists will work closely with game designers, who work on establishing the gameplay mechanics and the general flow of the game. 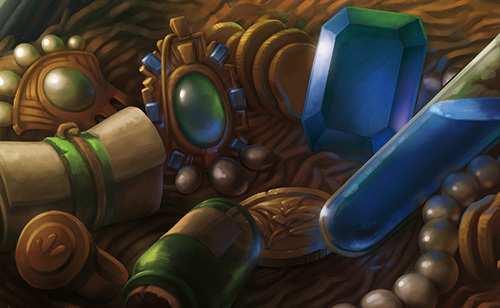 The art team itself, will generally include concept artists, modelers, texture artists, animators, UI and FX artists. The programmers are building the game from scratch, making sure it all works nicely and they also integrate the art assets. We all work closely together as figuring out how to achieve what we want, which usually involves some back and forth. QA will then make sure the game is bug-free. 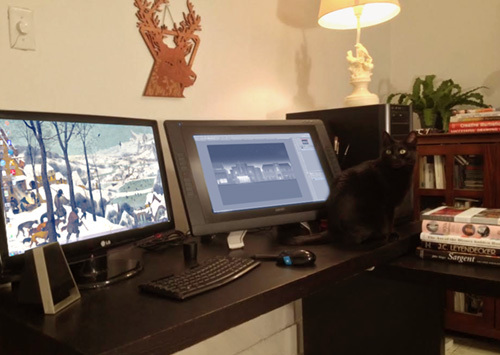 And finally, the producer and art director oversee and manage the project as a whole. Everyone’s role is essential in the making of a video game! It all comes together through intensive collaboration and collective brainstorming when faced with difficulties. What are some of your favorite projects to date? What made these project important to your practice? 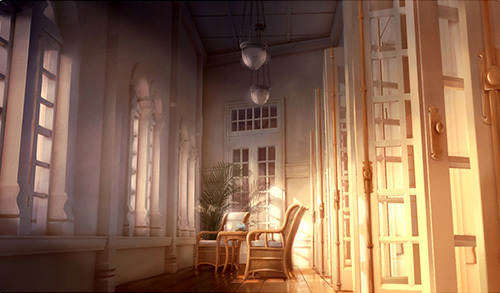 Working on my 3D short as a student was a superb experience. The art direction was left to the student’s care and I really enjoyed the exploration process, sketching and illustrating in 2D so that my 3D work was already informed visually. I was really lucky to work for a 3D studio at the same time, and be able to apply this new knowledge to my school work. Pearl’s Peril got me started at Hibernum Créations after graduating. It was a fantastic project, and I had the opportunity to work on some really atmospheric backgrounds. I’ve also had the chance to work with very experienced artists, and learning a lot quickly by seeing how they work. Animystics was my first gallery show, and I loved the experience and to actually hang the piece on the wall made me want to make more physical art. What are some of your favorite things to do outside of art making? I’m kind of a reference material hoarder- one never has enough books, right? Whether it’s trips to the library or just hanging out with a coffee, I love looking at books, magazines, sifting through images. I’ve also had a superb trip in Paris this fall and I’d really love to get out and travel more in the future! Playing video games is a big hobby of mine as well! Do you have any upcoming projects you can share? I am starting on a new mobile game project at work which is pretty exciting and as for personal projects. I want to make postcards for the holidays, and I’d also love to print a small illustration book in the coming year. I’m always keeping my eyes peeled for new calls for art too. You can find more of Philippe Poirier's work on his portfolio site, behance, instagram, and follow his tumblr here! 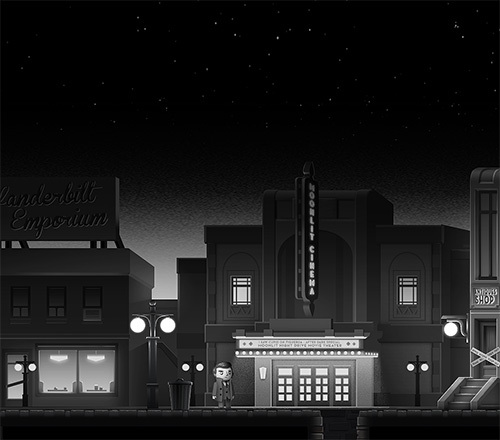 You can also play Philippe's Noir level for the Dream Arcade Exhibition and Game on the Light Grey Website here! The Android TV boxes are Wattpad currently readily available to Android TV Box bring you a brand-new Get brand new Android TV Box experience of viewing with Best Android TV Box a large range of choice our website of the smart TV services.